Is there a better alternative to MacATC? Is MacATC really the best app in Simulation category? Will MacATC work good on macOS 10.13.4? 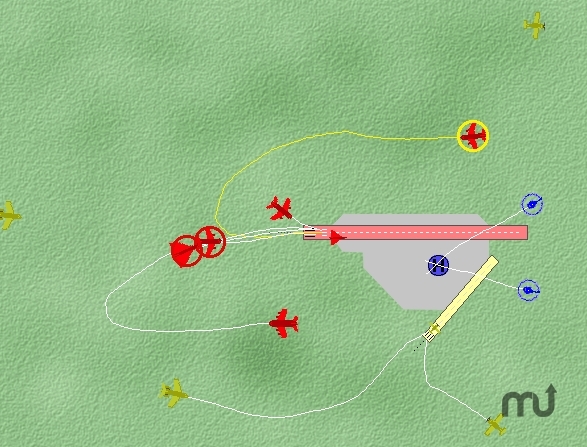 Mac ATC is a simple air traffic control game in which the object of the game is to land as many planes as possible without any planes crashing into each other. There are helicopters, light aircraft, business jets, medium jets, jumbos and concorde all trying to land at the same time. Just to add to the chaos, occassionally the Red Arrows will fly into the air space and you need to direct them away from the planes as quickly as possible. You may also create your own airfields and drop them into the airports folder. MacATC needs a rating. Be the first to rate this app and get the discussion started!